So, you finally decided that you are going to make time for exercise. Congratulations! That is one of the best choices you will ever make for your health. The first thing that you need to do is to approach your workout with a plan. It starts with asking the right questions. The first should be: How often should I workout? 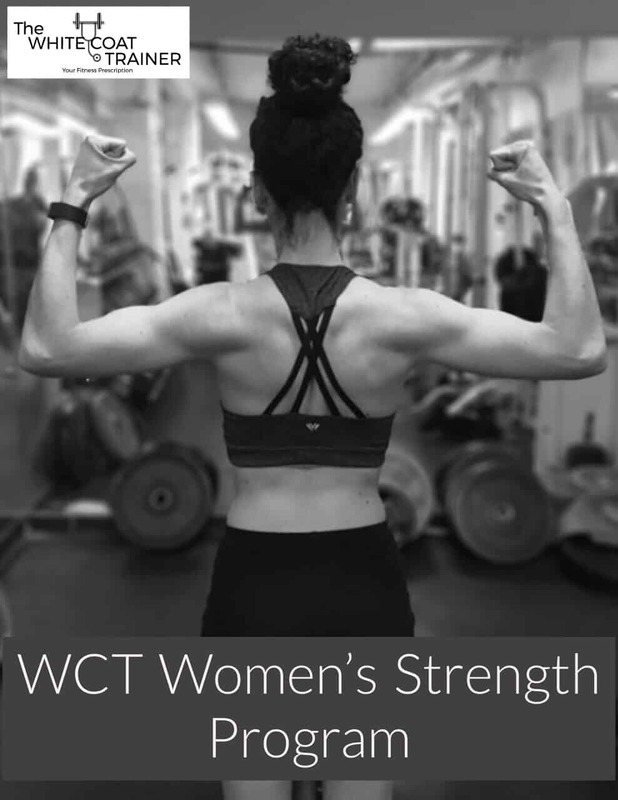 Welcome to the WCT series on Workout Routine Basics. In this series we will answer the most fundamental questions so that you can focus on maximizing your results while minimizing time wasted. How Often Should You Workout to Lose Weight, Tone Up or Build Muscle? The short answer to the question is you should workout 3 to 4 times a week. This gives you enough time to train all of the major muscle groups adequately, and enough time to rest and recover. The first thing we need to clarify is what we mean by a workout. We define a workout as any physical activity that involves resistance training, such as lifting weights or calisthenics. 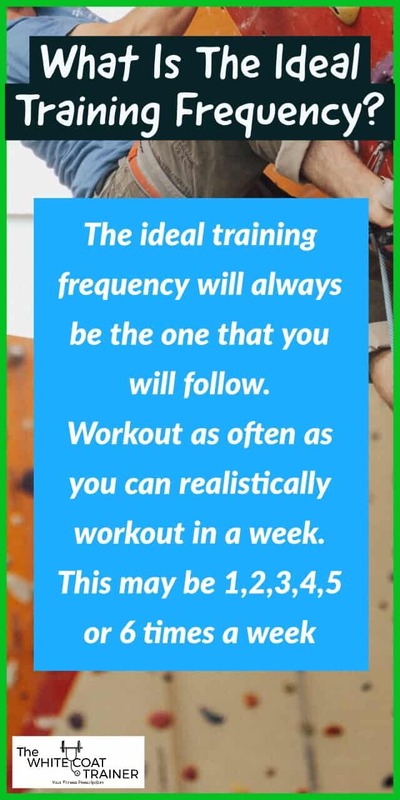 This training frequency is true in an ideal world for the average individual. Now let’s talk about what is ideal for you. As a busy professional, you may not have the luxury of being able to workout 3-4 times a week. Perhaps you have very unpredictable work hours, or your work may require you to be in super early in the morning, and finish very late in the evening. In situations such as these, anything is better than nothing. If you can only workout once or twice a week, then go once or twice per week. You should workout as often as you can realistically workout in a week. The best training frequency will always be the one that you will follow. It doesn’t matter if you have the best workout template of all time. It won’t work if you can’t sustainably do it. What If I Don’t Have Time Constraints? On the other hand, you may be someone who can exercise more regularly because you have a predictable schedule. It is still recommended that you workout 3 to 4 times per week. Can you workout more than 3-4 times a week? You can exercise as much as 5-6 times per week. The caveat is that you must be maximizing your recovery so that you properly adapt from your workout sessions. If you choose to train as often as 5-6 times a week, it is important that not every one of these workout sessions involved heavy resistance training. One or 2 of these sessions should consist of a lighter workout or perhaps an active recovery style, low intensity cardio session. Now let’s discuss how often you should workout based on different fitness goals. What if your goal is to lose weight? Is there an ideal amount of time you should workout for, to burn fat? The honest truth is that you do not need to exercise if your goal is strictly weight loss. Your diet will make up at least 80% of your results. If you try and exercise your way to weight loss without changing anything in your diet, then you are setting yourself up for failure. We have written an entire series of using diet to lose weight, starting with Any Diet Plan To Lose Weight Must Follow This 1 Rule. With that said, there is an ideal number of times you should workout if you would like to maximize your fat loss. It is anywhere from 3-6 times per week, just as we discussed above. This of course, depends on your schedule and what you can realistically accomplish. Walking. A lot of walking. The more you exercise, the more calories you will burn. But I repeat, your diet is far more important. You will never be able to out exercise the amount of calories you can consume. If you want to learn more about using exercise to lose weight, check out The Best Weight Loss Exercise Program For Busy Individuals to learn of a few key strategies of how to maximize the calorie burning potential of exercise. What About Cardio? How Often Should I Do Cardio To Lose Weight? Just as we mentioned above, cardio is not necessary to lose weight. Cardio is just another form of exercise that will not work unless you address your diet. 1 hour of running can burn anywhere from 300-500 calories, depending on the intensity of the workout. This can be easily be erased by consuming one Entenmman’s coffee cake or a small side of french fries. In Is Cardio Actually Necessary? 5 Reasons Why I Don’t Do Cardio, we argue that you are better off spending your time building lean muscle mass and using an occasional High Intensity Interval Training session for weight loss. Some of you won’t care, and still, spend hours doing cardio. If your preference is to do cardio (and I’m referring to medium intensity cardio such as a 1-hour jog or elliptical session), then the optimal amount of times you should do cardio is two times per week, and no more. This is because you must also dedicate time to lifting weights and developing your lean muscle tissue. Muscles will improve your health, increase your metabolism and help you burn fat. Performing too much cardio and no resistance training can actually eat away at your muscle mass unless you are actively using them. So what is the best set up? How Often Should I Workout To Build Muscle? What if you don’t care about cardio and you just want to build muscle? Is there an ideal number of days per week you should workout? You should aim to lift 3-4 times per week if your goal is to build muscle mass. The resistance exercises can be in the form of free weights, machine weights, or body weight exercises. The vast majority of these exercises should be large compound exercises that train multiple muscle groups at once. After you provide your body with the appropriate stimulus, you must then allow for recovery. In general, you should avoid training the same muscle groups in 2 consecutive days. This is why 3-4 days per week is ideal. It gives you enough time to train each muscle group adequately, and allow them to recover appropriately. Lastly, you need to drive new adaptations. This is done by progressively overloading and changing the exercises that you are performing so that over time, your muscles are slowly doing more and more work. We go over the principles of Stimulus, Recovery, and Adaptation further in How To Build Muscle Naturally Using Scientifically Proven Principles. How Often Should I Workout To Tone Up? What about toning? How often should you workout if you simply want to look more defined? That’s easy. There is no difference between training for muscle growth and training to tone. You should still aim to workout 3-4 times a week with resistance training as the primary focus. The only difference is that in order to tone, you must also lose body fat. The best way for you to lose fat is to clean up your diet just as we discussed above. The lower your body fat percentage, the more toned you will be. Keep in mind that everyone has a different baseline level of body fat. If you are an ectomorph, you will have a relatively easier time toning up than someone who is an ectomorph. Don’t know if you are an ectomorph or an endomorph? Check out Which Body Type Am I? Ectomorph, Endomorph and Mesomorph. Is More Better? Should I Workout Every Day? We live in a world where more always seems to be better. Undoubtedly, there are people who are going to want to exercise every day. Definitely not. For the vast majority of the population, this will be too far much exercise. You must allow time for both your mind and your muscles to recover. Restoration can only occur when you allow your muscles to rest, and you provide them with an appropriate amount of nutrients. Now, can you train 7 days per week? Training every day can help you establish a routine and decrease your chances of having to miss a workout. But as you can imagine, you can easily begin to wear your body out, and slowly lose motivation. Is It Better To Workout On Consecutive Days Or Every Other Day? Either approach is fine. If you choose to workout on consecutive days, then it is important that you do not train the same muscle groups on both of those sessions. If you train every other day, then you can perform any kind of workout split. A good example of a workout routine that encompasses consecutive training days is the Upper/Lower Body Split. For example, you can train Upper Body exercises on Monday, and Lower Body exercises on Tuesday. Wednesday would be a day off and then you repeat the split of Thursday and Friday. You can also use a Full Body Split with consecutive training days, just as long as the second day uses a lighter, less intense exercise variation as described above. Every other day training is very easy to implement. You can do just about any kind of program with this training frequency, such as an Upper/Lower Split, a Full Body Split, or a Push/Pull Split. We will write more about training splits in a future post. The ideal number of times you should exercise is individual and different for everyone. You should aim to find a workout routine that fits your schedule, and you can maintain over the long haul. If you can lift twice a week, great. 5 times a week? Awesome. With that said, science has shown that the optimal number of times for you to workout is 3 to 4 times a week. These sessions should be in the form of resistance training so that you can develop healthy lean muscle mass. On off days, it is still important to be physically active and move around. This can easily be accomplished by increasing the amount of walking that you do. Lastly, cardio is not necessary if you want to lose weight, but if you enjoy it, then do no more than 2 cardio sessions per week. We covered a lot of information in this post. 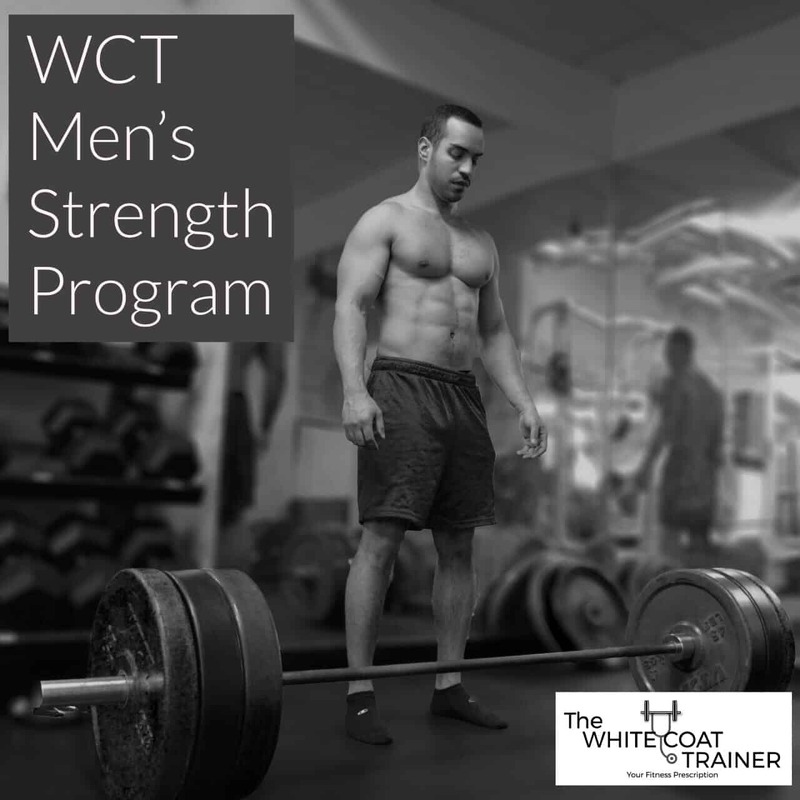 That is why we created the WCT Strength Program for Busy Professionals. It is a simple 15 week workout routine that is designed with busy individuals in mind. It includes all of the principles of training frequency and strength training protocols all in one place. If you can train 3 to 4 times per week, then this template is for you. If you can only train 2 times per week, this template is still for you. There is a male and a female version, to optimize your fitness achievements. Or you can check out the comprehensive guide on how to work out at home using just your body weight! Now that you know how often you need to workout, its time to start answering the next few questions you might have regarding workout routines. Do you think you can reasonably stick to 3-4 workout sessions per week? Do you know anyone who works out more than 4 times a week? Currently lifting 4 days per week (Full Body, Upper, Lower, Upper) with most of my work done in the 6-12 rep range at an RPE 8. And, 2 days per week of that awful cardio stuff 😉 Typically running in some fashion either sprints or some steady state work. Each workout is roughly an hour. In my experience, I have found that more is pretty much always better, it just becomes a matter of diminishing returns and being able to give more time to recovery (mainly sleep). Best results I ever got was running a Bulgarian style program where I was maxing on squats and bench 6-7 days/week. Not practical after kids but highly effective. Thats an interesting split. How did you decide on doing Full, Upper, Lower, Upper?And it sounds like you are pretty much following the recommendations outlined here. (Even for that cardio stuff haha)Yea, I’ve heard people getting great results from Bulgarian style training but I think for the vast majority of people it will eventually catch up to them. Did you get any significant injuries from training that way? So my go to is a standard upper lower split but for summer I like to throw in some extra upper body work for those beach gains so I turn the lower day into a full body. I actually felt fantastic squatting and benching that much. I think a lot had to do with getting so much practice in I was really able to perfect my form. I would also throw in some light pulling work on most days to help balance things out. I don’t think it is an ideal year round program but if I ever did a powerlifting meet I would be running something similar again for 6-8 weeks. Makes sense.I actually ran the 3 week Smolov squat program one summer and I too felt amazing during it.I was initially concerned about the possible injury risk but the high frequency helped me hone my technique and I realized a lot of gains from it. I probably wouldn’t ever do it again though.